We are beyond excited to share our Record Remake Project! 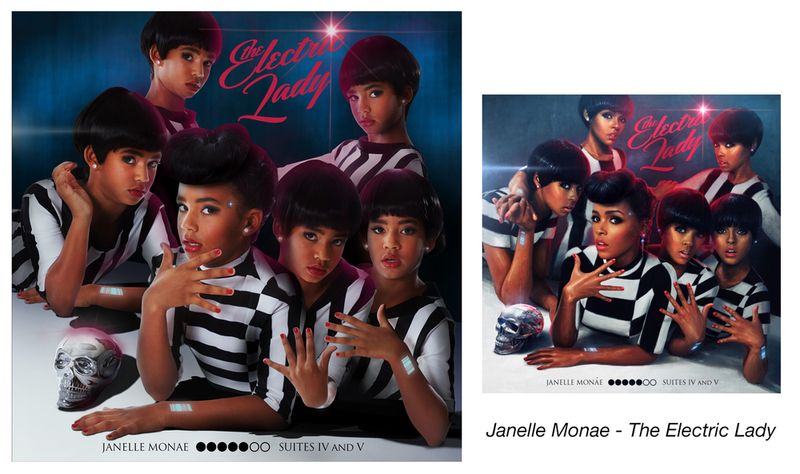 Iconic record covers from Katy Perry, Blondie, Kendrick Lamar, U2, Janelle Monae, David Bowie, Haim and Perfume Genius were re-imagined, starring girls from Girls Rock Camps. Campers had a blast being styled as some of their musical heroes from past and present, resulting in powerful (and hilarious!) images, playfully provoking big questions about how we mentor girls, what we tell them about who they can be in music and culture. Check them out below, and buy a print to support girls' creative voices! This shoot was made possible through the hard work and kindness of so many people! Big thanks to Sean Kelly and the delicious Town Pizza who fed our LA Campers. And thanks to New Seasons Market and Hot Lips for the Portland treats! Thanks to our photographers Carli Davidson, Melanie Aron, Holly Andres, and Shelby Duncan, and assistants Nike Schroeder. Thanks to Jen Agosta for post-production wizardry! Major thanks to Christine Treibel, unbelievably brilliant producer on our LA shoot, this would never have happened without you! Thanks to asst producer Ally Picard, and production coordinator Marni Harris. Thanks to Aaron Meola for production on the Portland shoot and web mastery! Thanks to costume masters Rose Mackey, Tiffany Maxwell, and Karina Torrico; hair/makeup wonder from Erin Cry, Amanda Bourne, Marina Proctor, Stephanie Ramos, and Heather Weppler. Thanks to Jen Baron for so much support. Big thanks to the Santa Barbara, Los Angeles, Orange County, and Chicas Rockeras camps!